NuPlus is a healthy, convenient, and tasty way to bring perfect balance to your diet. Fill in nutritional gaps and eliminate poor eating habits with NuPlus. Supplies superb, healthy nutrition in fewer calories than other foods. 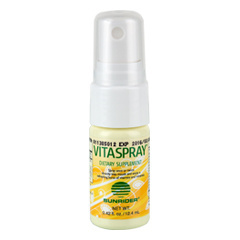 Strengthens the body by quickly nourishing cells, muscles and tissue. Provides nutrients to build lean muscle and healthy tissue throughout the body. "I've been eating NuPlus a couple times a day for over 14 years and I feel 33 instead of 53. I just got back from a 3 hour mountain bike ride in the Arizona desert, had a NuPlus and now I won't be hungry for hours. That's powerful nutrition for about 2 bucks!" NuPlus has only 60 calories, yet is very satisfying. Less than 1 gram of sugar (from fruits). Only 1 gram of fat. 10 grams of healthy complex carbs for long lasting energy. The natural ingredients are grown in nature, not on big farms, and they are often hand cleaned before use. The formulas are always carefully processed to maintain the whole food nature of the natural ingredients. This is to ensure you get maximum absorption of the nutrients into your cells, which means results you can feel. NuPlus works great for natural weight loss as it helps curb cravings for other foods. The nutrients in NuPlus are super-concentrated. Many pounds of herbs are concentrated into each single pound of the Nuplus formula. These carefully combined whole food formulas are made with the most nutritious all natural, whole food ingredients, so you obtain more serious nutrition in fewer calories. There are no added sugars, fillers, preservatives or artificial ingredients of any kind, and NuPlus is easily absorbed. NuPlus is made with concentrated Chinese herbs that include powerful whole food nutrients not available from typical food sources. Blend a packet of NuPlus powder formula with 8-12 oz of liquid for a health drink beyond compare with anything you can buy elsewhere. This is juicing, plus so much more, without the hassle or expense! It's like drinking natural antioxidants. These plant nutrients absorb free radicals that damage cells as you age. Antioxidants in, free radicals OUT! Coix Lacryma-Jobi Seed: Supports the body’s defense systems, helps decrease cholesterol and may reduce muscle tension and inflammation. Whole fermented soybeans: This is Non GMO, whole fermented soy, not isolated soy. May help in reducing harmful cholesterol (LDL, low density lipoprotein) without affecting beneficial cholesterol (HDL, high density lipoprotein). 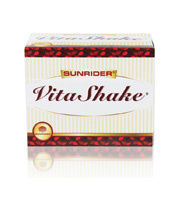 Aids in weight management and helps to regulate blood sugar. Chinese Yam: Shown to smooth mucous membranes and help regulate metabolism. Rich in hormone producing substances, emollients and enzymes. 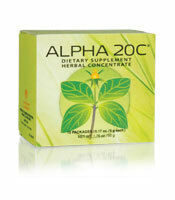 Supports healthy kidneys, lungs, stomach, adrenals, and hormones. Coix Lacryma, Jobi Seed, Soybean Seed, Chinese Yam Root, Euryale Ferox (Fox Nut) Seed, Nelumbo Nucifera (Lotus) Seed, Nelumbo Nucifera (Lotus) Root, Pyrus Malus (Apple) Fruit (Other fruits, depending on flavor), Lilium Brownii (Waterlily) Bulb, Phaseolus Vulgaris (Red Bean) Seed, Phaseolus Vulgaris (Green Bean) Seed, Phaseolus Vulgaris (Black Bean) Seed, Phaseolus Vulgaris (White Bean) Seed and Imperata Root. Contains Soybeans. Sunrider uses NON-GMO Whole Food Soy, not isolated soy that causes problems for humans. NuPlus Simply Herbs includes the ingredients above, without the fruit. NuPlus Original includes the ingredients above, without the beans or fruit. 1. Instant satisfaction for the body – The complex carbohydrates and whole food nutrients are immediately absorbed by the body and put to use. With NuPlus, the body absorbs high quality nutrients very quickly, instead of forcing the body to waste energy in order to digest poor quality nutrients. 2. Convenience – In less than 30 seconds you can consume more serious nutrition from a serving of NuPlus than you could get from a meal that takes time to prepare. 3. Value – NuPlus is concentrated with many pounds of whole food ingredients for each pound of the powder formula. So, for less than $2.20 per serving you get real nutritional benefits not available in typical groceries. 4. Taste – In formulas of Apple Cinnamon, Piña-Banana, Mixed Berry, Naturally Plain and Simply Herbs, NuPlus offers a flavor for every healthy food lover and you can consume it many different ways. 5. Balance – The average diet includes too much sodium, fat, and cholesterol, but NuPlus brings balance to your nutritional intake with a perfect combination of ingredients from more than a dozen sources that are naturally low in sodium, fat and cholesterol. NuPlus was created years ago by Dr. Tei-Fu Chen and his company, Sunrider, award winning manufacturers in the U.S.A. of more than 417 products for your health and home. He is one of the world's foremost authorities on herbs while his wife, Dr. Oi-Len Chen, is a Medical Doctor. They lead a team of scientists to properly combine these ingredients for maximum beneficial results and safety. Dr. Chen says, "NuPlus seems like a simple product. The ingredient label does not indicate high levels of protein or vitamins. I don't want to give you chemicals, but rather foods that your body will recognize as nourishment. In reality, your everyday diet already includes probably too much protein and carbohydrates. The popularity of NuPlus is so widespread because it works by nourishing and filling in the nutritional gaps in our daily out of balance diets. Without this balance, it is hard for your body to enjoy wellness. As your body continues to find balance, you will notice that even plain vegetables will taste sweeter than before. When your body achieves balance, you will be able to enjoy the nutrition and taste from your food. A balanced diet is really the basic key for better health." Maybe you've read about the benefits of juice drinks made with acai, mangosteen or noni, and heard incredible stories about how they supposedly 'cure everything'. Sunrider has been a leader in the creation of healthy foods and drinks since 1982, while many of those juice companies are here today and gone tomorrow. The difference is that it’s not just one ingredient, but a precise, concentrated combination of ingredients that delivers the power of NuPlus. “Getting ready to place another order soon, ready for some Sunbars and different flavors of Nuplus and Calli Tea. I really enjoy your products. I find if I put a banana and strawberries in my Nuplus shake before I go to work it satisfies my sweet cravings for the day. I went to my doctor last Friday and she noticed how my skin glowed. She asked me what I had been doing, and I handed her the Sunrider booklet I received with my order." C. Maberry/Paw Paw, MI"It's such a peace of mind to be eating what is so healthy for us. We are so energized, and anytime we're hungry we eat extra NuPlus for more energy. I don't know what we would do without these products and we have never felt better or more healthy." Hannah and Rachel are the two super kids in the neighborhood who don’t eat much junk food or drink sodas. Instead, they eat and drink NuPlus, Calli Tea and Fortune Delight. Being curious about how kids enjoy something so good for them, we asked. Hannah replied, “Nuplus fills you up when you’re hungry, especially at night. Yes, it’s a good night-time snack, but I like it all the time”. 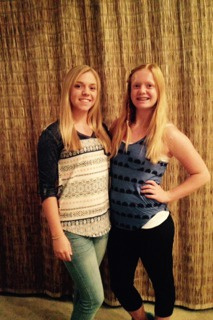 Recently, Hannah and her sister were on a team that won 6th in the nation in synchronized swimming! Maybe the Olympics are in their future. Hannah said she especially likes the Apple-Cinnamon NuPlus because, “It has apple things in it that taste really good”, and it‘s good to mix with cranberry or apple juice. That is the wisdom of young hearts and minds. They instinctively know what’s good for them, and they know it feels good to be fit. Good health helps them build self-esteem, and we know Hannah has plenty of that. Rachel prefers Strawberry VitaShake, which actually has 1½ NuPlus along with protein, complex carbohydrates, soluble fiber and vitamins and minerals. We have Cocoa VitaShake, too. Hannah and Rachel have been eating this way since they were little and now they're growing up healthy! "Here’s our future Olympiad at the Olympic Training Center in Colorado Springs last month, January 2015. Hannah competed for TEAM USA’s Synchronized Swim Team and placed in the top 30 during the competition. They only take the top 20 to the next round of tryouts, but it's amazing to know that she's one of the top 30 in the entire nation. Meanwhile, Rachel continues to swim synchro and made it on to the Red Mountain Varsity swim team this year, as a Freshman. All that NuPlus paying off! Rachel and Hannah have been eating NuPlus since they were toddlers. Hannah has been known to mix her NuPlus in the car, after practice when she’s starving. She prefers to mix it with cranberry juice, but will use orange juice in a pinch. Both girls start their weekdays off with mint Calli tea. Rachel is growing so quickly now that sometimes she has actual 'growing pains'. Fortunately, she discovered that drinking 2 NuPlus helps her feel better. She might avoid them all together if she would drink NuPlus every day, but she’s a typical teenager in most other regards. Hannah also keeps a container of Alpha 20C in her bathroom and reaches for that when she feels anything coming on that might slow her down. 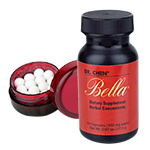 I started taking Bella and Beauty Pearls once in a while about 2 years ago since I was 45 and getting to 'that age'. One day, after raising my voice at both my girls and having my husband say to me, ‘You know you are like this once a month…’, I started taking 2 Bella and 2 Beauty Pearls a day since I clearly needed to do something. It has now been 9 months and I haven’t shouted at my children, or my husband since. Not that they haven’t annoyed me, I just am not as mad and am much more even kneeled about life in general. As a person who has been using Sunrider products for over 10 years, these are my two new favorites. (Although a day without Fortune Delight would be bad). Maybe one or the other would be ok, but both of them together work great, so I’m not messing with results. Olympic athletes thrive with NuPlus! This is real food that works for everyone, including professional and semi-professional athletes. The company that makes NuPlus, Sunrider International, was the exclusive nutritional supplier for the 2008 Israeli Olympic Team. NuPlus provides powerful nutrition for athletes and vegetarian food to fill in any nutritional gaps. This is your invitation to try NuPlus. You’ve got nothing to lose, except some empty calories. If your hunger for something truly healthy and satisfying is not met with NuPlus, we will absolutely refund your money. Nuplus and VitaShake provide safe pregnancy nutrition as well as healthy snacks for kids.